One of the trusted and leading providers of window treatments in South Florida especially in Miami-Dade County, Broward, Palm Beach and many more, we, at Eco Shades, are committed to deliver the highest quality of window treatments to improve the overall interior of any residence and commercial spaces. ​Window coverings are not just simple home or office decorations. We consider every window treatment and covering as art that improves the quality of life inside every home or office. That is why we provide an extensive and unique style that is perfect for your place. ​Some of our products and services include wood blinds, roller shades blackout, roller shades screen, roman shades, plantation shutters, double rollers, and many more. ​We have highly-skilled and experienced technicians who do the installation of wood blinds, roller shades blackout, plantation shutters and many more window treatments. Our team is very meticulous and professional. They are very passionate with what they do and their many years of experience help them to provide the perfect style for your home or office. ​We also partner with the best suppliers in the industry to provide an extensive catalog of window solutions. 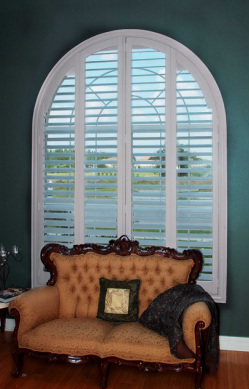 From the most affordable and inexpensive windows, blinds or plantation shutters, to the most sophisticated window automation - we got you covered. ​So if you are looking for the best, most elegant, efficient and modern window solution for your home or office in Miami-Dade County, Broward, Palm Beach, or any other places in South Florida, contact us today. ​Talk to our experts at (561) 475-2914 and get a FREE in-home consultation and estimate. • Option of motorization for most of our products. • Work around your budget. We, at ECO Shades Co, have made over years great relationships with the most reliable providers to be able to provide you with an extensive catalog of solutions, from the most affordable set of inexpensive blinds to the sophisticated world of automation. Rest assure you will be in good hands. We are certified installers and professionals of industry leaders on window treatment products. Wood Blinds • Roller Shades Blackout • ﻿Roller Shades Screen﻿ • Roman Shades • Plantation Shutters • DoubleRollers • Illusions • Honey Comb Light Filtering Shades • Vertical Blinds • 2" Faux Wood Blinds • POLY Plantantion Shutters • 2 1/2" WOOD BLINDS • Fabrics, Drapery and Cornices • and more! !